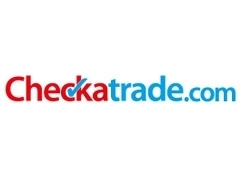 Checkatrade – How many tradesmen can you trust? Where would you go to find a tradesman if you were in need of home improvement work? Would Checkatrade be your first thought and port of call? Last week, I caught an old showing of Watchdog on TV. Much to my surprise, one of the culprits they were investigating into was indeed a Checkatrade member. The hour long programme revealed how the site had failed to give an honest view of some of the tradespeople on their website. • The website does not allow users to submit reviews on companies who do not turn up to agreed appointments. • Checkatrade won’t publish reviews of which receive a score lower than 5/10 or less, until the trader has been given a total of 21 days to give their version of events. If the tradesman denies the work completed was of a poor standard, Checkatrade then have to send out a surveyor to make their own decision. If the surveyor then agrees the homeowner was right, even then, the negative review and score does not have to be posted. We understand the tradesman is then entitled to make amends, put the job right and resolve the complaint. The homeowner is then asked to review their score again. These points are further explained in the clip below. If a tradesman has received a couple of good reviews (6/10 or above) those scores will be listed on their page, but, if they were to receive scores of 5 or less, innocent homeowners viewing their page would be none the wiser – they would have no inkling that other homeowners may have been stung by the same company. We’re not suggesting you should boycott Checkatrade. We’re definitely not saying all companies listed on Checkatrade are rogues (we’ve in fact been listed on the website previously!) but what we are saying, is dig deeper, and look into a company more, before giving them the go ahead for your project. Landscaping, being an unregulated industry, allows anyone to pick up a paving slab and call himself a ‘landscaper’. These ‘professionals’ can then advertise themselves on sites like these; but you won’t find them on websites where their work has to be frequently vetted – and these are the sites you need to go to next! Landscaping specific: If you’re chosen company is listed on sites like ‘The Association of Professional Landscapes (APL), BALI (British Association of Landscape Industries) or carries the ‘Marshalls Accredited Installer’ badge, chances are, you would have picked a professional company – their work is vetted annually and if for some reasons they’re not installing to British standards, they’ll be kicked off before they know it. Whether you’re in the market for a plumber, locksmith, plasterer or indeed a landscaper, do your research or pay the price!